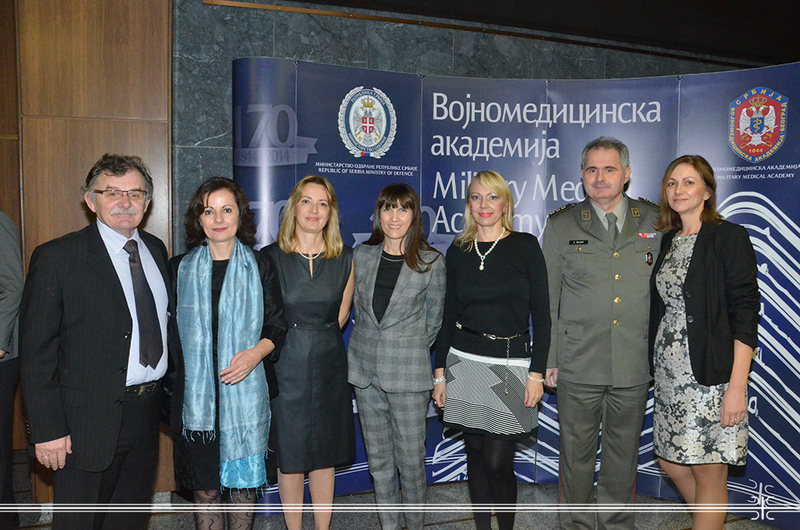 At the Military Medical Academy, today, for the 20th year in a row, the "Milovan Antic" award was presented for the best scientific paper in the field of nuclear medicine published in international journals in the previous year, in organization of the Association of Nuclear Medicine of Serbia and the Institute of Nuclear Medicine of MMA. With the prestigious award, the paper of a group of authors was awarded, whose head was Prof. Dr. Jasna Mihajlovic from the Institute of Nuclear Medicine of the Oncology Institute of Vojvodina, and which was published in the journal "The Journal of Nuclear Medicine". Acting Head of MMA Colonel Prof. Zoran Segrt pointed out that the Institute of Nuclear Medicine for more than half a century of existence had significantly contributed to the quality of diagnosis and treatment of patients in the medical institution. As he pointed out, every year at this Institute more than ten thousand nuclear medical diagnostic and therapeutic methods and analysis are implemented. According to Head of the Institute of Nuclear Medicine of MMA Prof. Dr. Boris Ajdinovic, the award was established in honor of Colonel Professor Dr. Milovan Antic, the founder and longtime Head of this Institute, and the pioneer of nuclear medicine in our territory, to whose work the first use of radioisotopes in the diagnosis and treatment is related. The proclamation of the author of the best paper was preceded by a meeting of the members of the Association of Nuclear Medicine of Serbia, as well as presentations of the other five papers that were in this year's competition for the aforementioned award.